My first car had at least three previous owners. It was already a second hand bomb when my dad bought it for his own use. He handed it onto my brother, who gave it a truly terrible home spray-job and drove it into the ground for two years before passing it on to me. By the time I wrote it off in a routine fender bender months later it was already pretty much just mobile scrap metal. As an educated white man, I don't for a second pretend to be anything less than privileged. But even for me there's an immediate disconnect in the opening scene of Love, Simon. The titular hero (Robinson) is shown running out the front door of his family McMansion to caress the shiny new auto his parents have bought him for his 16th birthday. 'I'm just like you,' Simon intones in voiceover. Um, just like who? The film does attempt to subvert initial impressions. Simon's opening monologue turns out to be the precise wording of a message he will later send to Blue, a blogger from his school who uses the anonymity of the internet to talk about his sexuality. Simon, too, is secretly gay, and he and Blue begin an anonymous correspondence marked by an increasing mutual affection. The plot focuses on Simon trying to guess the identity of his crush. He fixates on a series of guys (all impossibly good looking, like him) who fill in for the faceless Blue in his fantasies. This is a relatable contemporary experience, and Robinson, who at 23 does a good job of passing for a high school kid, brings a certain emotional truth to Simon's conflict over whether and to whom to reveal his sexual identity. Indeed Love, Simon, based on Becky Albertalli's novel Simon vs. the Homo Sapiens Agenda, does get a lot right. For gay teens and those who known them, the film is vitally affirming. But there's baggage that comes with its treatment of these themes that undercuts its efforts to engage the experience of alternative sexual orientation. Simon may be coded as gay, but he is also explicitly a privileged white man. As such, in the hands of Berlanti as director, there is a mien of white male wish fulfilment that is hard to shake off. If there weren't, then the way Simon interferes with the lives of his friends — two of whom are black and one of whom comes from a less privileged background — as a way to deflect attention from his secret would be regarded as something more than a stepping stone to his own self-actualisation. "What a lesson for Simon if the love of his life turned out to not conform to his conception of physical beauty." We'd also see something other than the confected and totally unrealistic happy ending we get here. The true Blue would be revealed to be the outsized lanky guy who serves as a walking sight gag throughout the film. Or some schlubby dork that Simon has never even noticed before. What a lesson for Simon if the love of his life turned out to not conform to his conception of physical beauty. Of course, he does, and if you think that's a spoiler you haven't been paying attention. 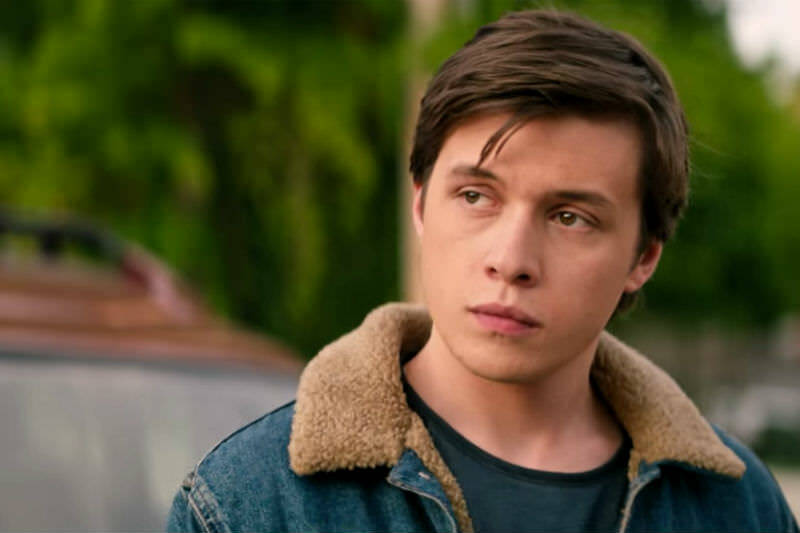 As such Love, Simon does more to reinforce rather than broaden narrow cultural norms. Even a great sequence in which Simon's friends come out as straight to their parents — glimpsed in the trailer and seeming to promise something more subversive than the reality — turns out to be a figment of Simon's ego/imagination. I didn't get a driver's licence until I was 27 and, with a baby as my passenger, I didn't get to be too irresponsible behind the wheel. This story about the various aspects of identity and the internet really revolves around words - the look of words, the sound of words and the taste of words. Maybe this is a film to see. Hi Tim, the eminent Jesuit, Bill Uren, once predicated a piece in which he published a defence of gay people with an admission that he could not speak as one of us. It is now standard practice in writing affirmingly or critically of gay-themed literature or filmography to be explicit about whether the authorial voice being employed is gay or not. This helps navigate an ethical path through the complex eddies and shifts in tides and currents that bedevil such a dense and highly morally-contested 'identity' site. Thanks heaps. All very true! My bf and I talked a lot about privilege after we saw the film as well. But I do really like that the film acknowledges that, even for a good-looking, wealthy, white man like Simon, coming out is an emotionally agonising experience. He even says in a voiceover that although he knows his parents will be fine, he can't bring himself to tell them. I know this experience well! It was nice to see it on film, even if it's a theme we probably don't have to return to again and again. This is a recurrent issue with US gay fiction and film - still very little intersectioning with other issues of identity, privilege etc, as we approach the 50th anniversary of the modern gay rights movement. Compare this to what was portrayed in "My Beautiful Laundrette" back in 1985 - sexuality situated in the full context of class and ethnicity in Thatcher's Britain, and a beguiling, entrancing film withall. And any amount of gay/LGBTI film and fiction coming out now from Europe, Latin America, Australia and pretty well everywhere by now. Still planning to see this film; our community is allowed its quotient of Mills & Boon, after all. But if you're after something more hard-hitting on screen, don't look to the US, as a general rule, nor to mainstream commercial releases.